Leighton Andrews was a Member of the National Assembly for Wales between May 2003 and April 2016. This was his biography at the time he left. Born in Cardiff and brought up in Barry and Dorset, Leighton Andrews holds a BA Honours (English and History) from the University of Wales, Bangor, and an MA in History from the University of Sussex. Leighton was a visiting professor at the University of Westminster from 1997 to 2002, and is an honorary professor at Cardiff University. Leighton has worked for several charities as a parliamentary officer and campaign director, as well as working as a public affairs consultant in the private sector. He was head of public affairs for BBC Wales between 1993 and 1996 and also worked as a lecturer at Cardiff School of Journalism. 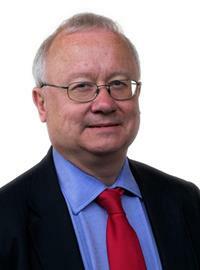 He is a former board member of Tai Cymru. Leighton was first elected to the Assembly in May 2003. In his first term he served on the Education, Culture, and Economic Development Committees. Leighton was re-elected in May 2007, following which he joined the Welsh Government as Deputy Minister for Social Justice and Public Service Delivery, with special responsibility for housing issues. When the One Wales coalition government was formed in July 2007, Leighton was appointed Deputy Minister for Regeneration, working within the Department for the Economy and Transport and the Department for Social Justice and Local Government. In 2009 he was appointed Minister for Children, Education and Lifelong Learning. In May 2011 he became Minister for Education and Skills. His political interests include education, the economy, culture, housing, the media, health and social inclusion.